Using a personal email, while conducting government business has another member of the White House administration making the headlines. It was reported by the New York Times that Ashton Carter the Secretary of Defense used a person email to conduct part of his official work during the first few months of taking the position. The newspaper said copies of the emails in question had been received. The Secretary of Defense reportedly continued to use the private email even after news about the use by Hillary Clinton of personal emails during her time as the Secretary of State had triggered attacks by lawmakers from the Republican Party. Republican lawmakers alleged that members of the Obama administration have not handled U.S. government information carefully. Both Carter and Clinton said they have not included any sensitive information into jeopardy. Carter is said to have conducted some of his work through the personal email, whereas Clinton used her private server primarily to conduct business through email. No evidence of any wrongdoing has surfaced in Clinton’s case, and her use of the private server did not break rules of the State Department. However, investigators from the FBI are examining the emails and have been for months, which in turn made the headlines and drew more criticism. The Pentagon has issued an official statement that says Carter did nothing wrong. 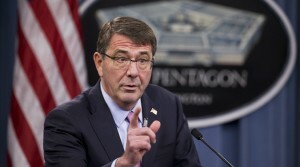 It added that the Secretary of Defense uses email very sparingly as he prefers the phone and personal conversations. The Press Secretary at the Pentagon said that Carter has a personal email he uses to correspond with his family and friends. Any email that is related to work received on the personal account, like an invitation, an event or even an administrative issue, is then copied or forwarded to the official account he has to be preserved appropriately as a federal record. Clinton since the controversy surfaced has turned over close to 55,000 pages of her emails to the U.S. State Department. They have been or are still being reviewed by the FBI to see classified materials were mishandled, but thus far, nothing of the sort has surfaced.